You run userscripts with the Tampermonkey extension, available on all browsers. Do not attempt with Greasemonkey, they've changed their API recently. To keep the script available to all browsers it will need to be run with Tampermonkey. Under the menu header, the time and date of the last scan is shown. You will need to click on Scan Games to let the script retrieve the data used to display unique medal defeats and game highlighting. All finished games prior to the scan will be included, and you will need to scan again to have your progress updated when you finish games after the last scan time/date. Scan progress will be displayed on screen, and you will need to wait until it is finished to have the data saved (takes less than a minute for my 10k+ games). In the Medal Tracking menu, you can select which medals you would like to make progress in. For each that you have selected, defeat medals and/or missing medals will be displayed next to users' names. When in the Join a Game pages and Game Finder, games will be highlighted to indicate that you can make progress towards your tracked medals (meaning the game has players you haven't beaten yet for the medals you are tracking.) I recommend only tracking a few at a time to keep pages less hectic, and it will make it easier for you to select games to join. The Options menu allows you to toggle on/off the 2 types of medal icons and the pages where you want the icons to be displayed. The Defeat Medals represent a win against the user, and the Missing Medals indicate you have not won. You can have either, both, or none on. Having both will show every medal you are tracking next to users and provide insight on your medal progress against that player, but again if you are tracking a lot of medals at once there will be lots going on on the page. For both of the menus, once you have checked a box your selection is saved and you just need to refresh the page to see the changes. The screenshots above show the game highlighting that is done in Join a Game and Game Finder. I am tracking Terminator, Assassin, Polymorphic, Teammate, and Beta medals with both Defeat and Missing medal types shown. Based on my medal tracking selection, open games that are of either terminator, assassin, or polymorphic type that contain at least 1 new player to beat will be highlighted. Since I'm tracking the teammate medal, if there is an open team game with a slot to team with someone I haven't won with, that game will be highlighted. Also, any games on a Beta map with players I haven't beaten on a Beta map will be highlighted. If a game is highlighted, you will make progress towards at least 1 of the medals you are tracking if you win. For all medals defeated/missing displayed on any page, hovering over the medal will give a description. Please post any questions/suggestions/thoughts/issues in here. Last edited by lanyards on Wed May 30, 2018 2:55 am, edited 5 times in total. Updated the script to include dark versions of the medals (missing), and game highlighting for open games with potential unique wins. I also spoke with bigWham who agreed to alter API output which will allow me to track Random Map wins and all Beta map wins, so that will be coming at some point (hopefully.) Currently Beta map wins on maps which are currently in Beta are tracked. Also, the script will from now on alert you when there is an update to install and provide a link with where to go. I like it more and more...sad that iOS mobile device are not running with script...but looks nice while on my computer...keep up the good job. Damn I just discover ot now? I'm on holiday, but I'll definitly try it next week. I installed it and I can confirm that it works perfectly. i've been having problems loading some icons. the tab remains "loading" forever. i turn MedalAid off and it loads fine. i'm in Mexico, in case cubeupload is working but not for this route. nietzsche wrote: i've been having problems loading some icons. Nah CubeUpload is just temporarily down, sorry guys but those icons should be back up pretty soon. Almost done with an update which will track Random Map wins and more Beta wins (past beta maps will be tracked.) A big thanks to a big Wham for making changes to CC's API for me to make this possible. And thank you to everyone for the support, if anyone has any suggestions for improvement I will make it happen! Okay just submitted version 1.2.0, hopefully users will be seeing a notification in the script menu that an upgrade is available. Random map wins are now tracked, and Beta map wins now include wins on maps which were beta at the time of the win. Your browser will also print the totals from the scan in the console (right click on a page, select Inspect, select the Console tab, then click Scan Games from the script menu.) Once the scan completes you will see the total unique defeats for each medal the scan is detecting. Right now I am trying to weed out discrepancies between my scan totals and the sites totals. This is difficult using only data from my own games so if anyone wants to post theirs that would be great. Most of my medal totals match the sites, and a few which are different should change soon if BigWham agrees to change API output again. The scan currently doesn't count wins against bots (they shouldn't count as far as I know,) but Scenario wins are counting (and I believe they shouldn't.) When/if BigWham labels scenario games in the API, wins in those games will be ignored. The good news is these are all false positives currently, so if a game is highlighted you WILL be making medal progress. If users are experiencing differences in the same medals then that information will be useful to figuring out these slight differences. May not change anything but I would ask King achille by PM to reset your medal count and check again, if you have never done it you may have little glitch from past site issue that still show, if no change then you still sure that the site is accurate and can be taken as good reference? ...keep doing what you do, this add’on is awesome! Can I run Tampermonkey and Greasemonkey both at the same time in my browser ? hjelp wrote: This is good. No, and yes. Greasemonkey is limited to Firefox, Tampermonkey is available for just about every browser there is. Mad777 wrote: May not change anything but I would ask King achille by PM to reset your medal count and check again, if you have never done it you may have little glitch from past site issue that still show, if no change then you still sure that the site is accurate and can be taken as good reference? Thank you, that solved the extra 2 triples defeats CC was missing. BigWham is going update the API again to label scenario games in output, so that will fix the extra standard and terminator defeats. 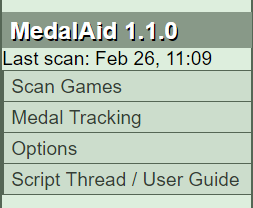 I guess now the MedalAid scan log will also let you know if you need to have CC rescan your games by comparing the totals. 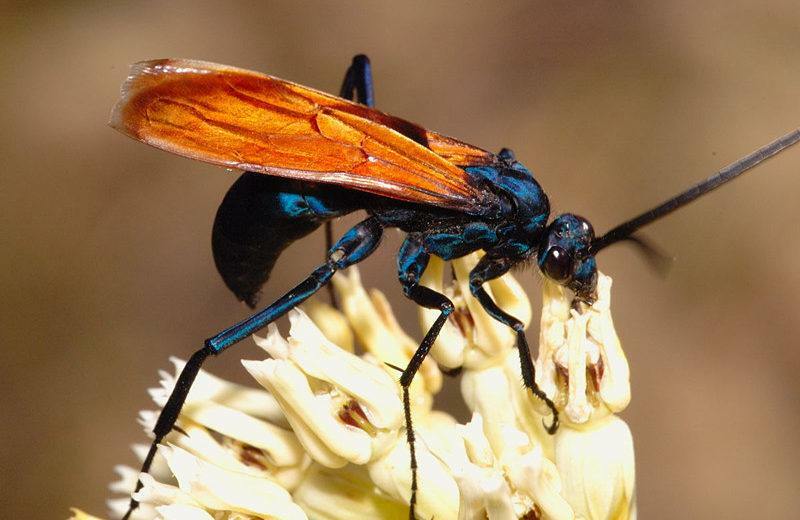 Yo this thing looks dope, gonna have to try it out. swimmerdude99 wrote: Yo this thing looks dope, gonna have to try it out. Thanks dude! Let me know if you have any issues/questions/suggestions for improvement. My only wish would be if it would say (next to Round 0 in join game / game finder on the title blocks) how many unique opponents for the medal your searching for instead of having to count individually. Example: searching for assassin games, using game finder i search all waiting assassins. without counting how many are silver vs gold, its not easy at a glance to know how many unique assassins each game would provide. It turns yellow if theres at least one, but if its a 12 player game and only 1 unique medal it might not be worth the time and energy if there was a 5 player game and 4 uniques available. Help optimize potentially.